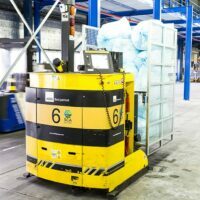 The Orwak Flex product family features a collection of applications to meet special needs in waste handling and compaction ­– e.g. 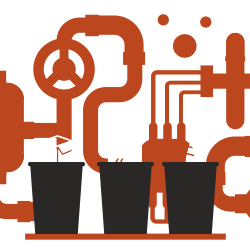 for mixed waste in bags, hazardous waste that requires compaction in a steel drum or as a combi solution that is able to both make bales and compact waste in bags. Orwak Flex has you covered! 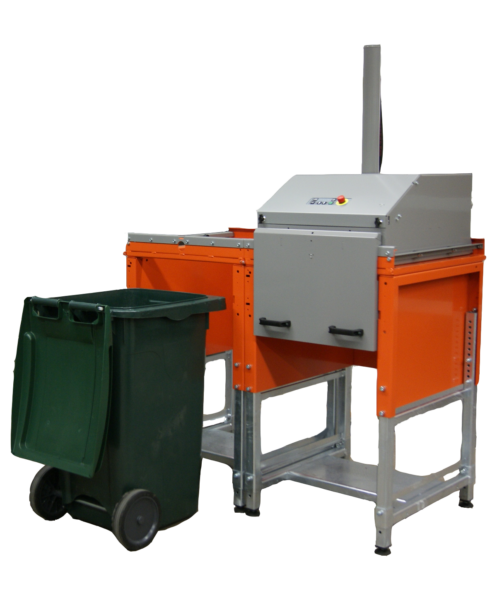 Compact general waste in 240 l bins in our new waste compactor FLEX 4240! It is a robust and reliable machine with a compact and lightweight design. The 4240 is easy, safe and convenient to use! The multiple-chamber unit offers a top-loading setup, while the single-chamber version is based on the principle “Roll in! Compact! Roll out!” Can easily be extended with additional chambers! 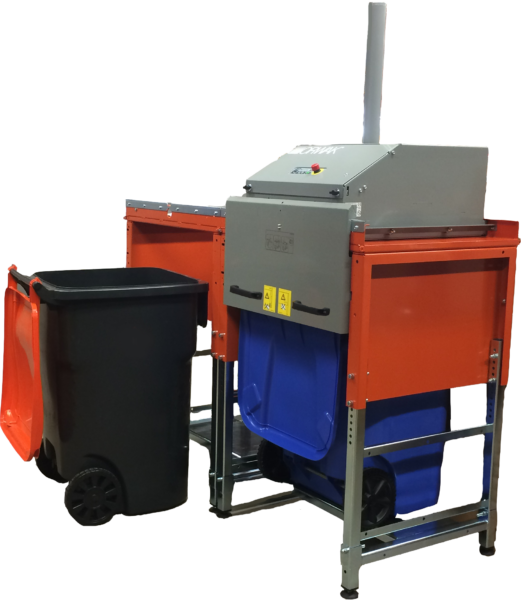 Compact general waste in 360 l bins in our new waste compactor FLEX 4360! It is a robust and reliable machine with a compact and lightweight design. The unit is easy, safe and convenient to use! 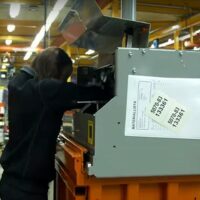 The multiple-chamber unit offers a top-loading setup, while the single-chamber version is based on the principle “Roll in! Compact! Roll out!” Can easily be extended with additional chamber. The 5010-E model is a small but tough baler that requires little space. 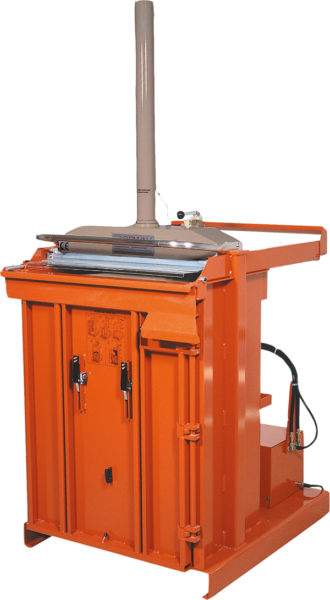 Feeding material into this top-loading baler is fast and convenient. 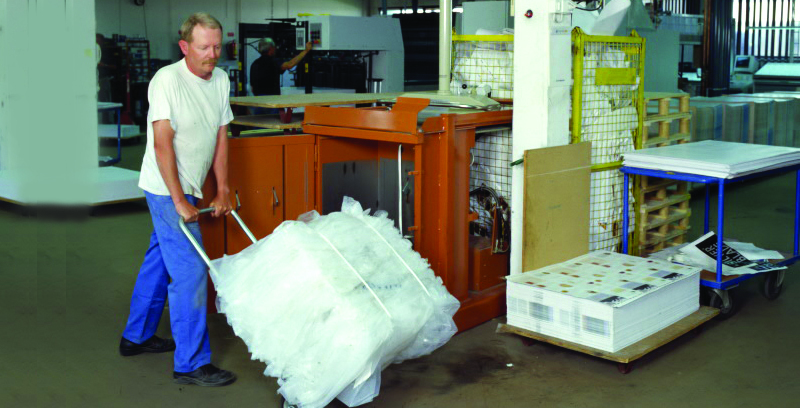 The in-bag 5030 compactor was the very core of our business during the pioneering years of the 1970s. This versatile, sturdy and easy-to-use unit is still going strong and offers hygienic compaction of mixed waste. The compaction ratio of up to 10:1 is impressive! 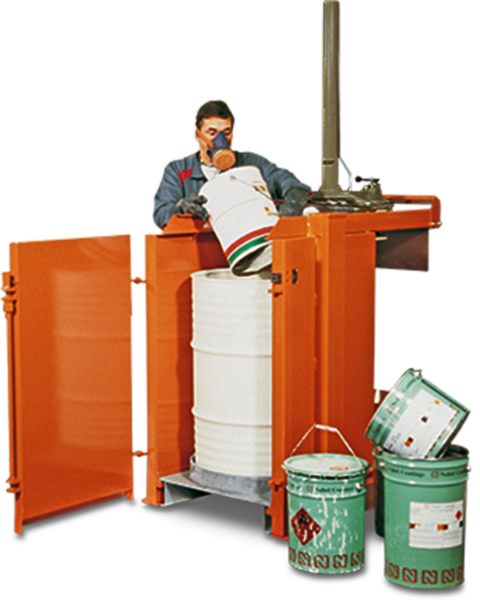 The 5030-N HD model has a special application for safe compaction of hazardous waste (glass/cans/tins containing residual paint or chemicals) directly into drums. 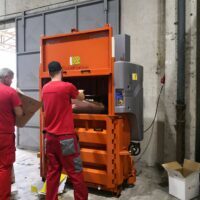 A steel pallet is included for stable placement of the drum inside the compactor. The 5031 model is a small, tough and versatile baler. 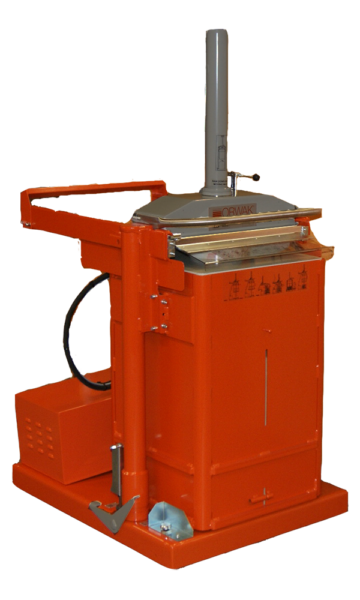 It can make standard bales, compact waste in bags and/or be used to enclose bales in plastic bags!